Last year, MI6 Confidential introduced a new special format: a limited-run 100-page perfect bound issue of the magazine taking a deep dive into one particular facet of the franchise. 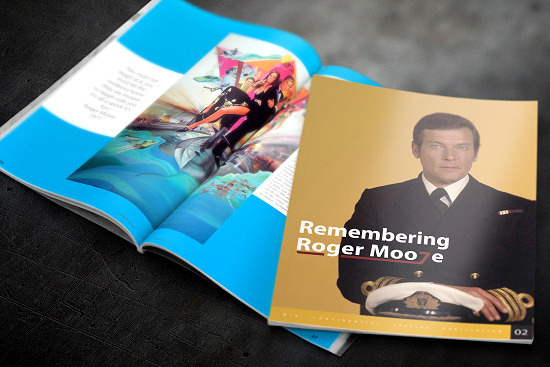 The second special release in this longer format, 'Remembering Roger Moore,' is co-authored by Matthew Field and Ajay Chowdhury whose 'Some Kind of Hero' is the 21st century's modern Bond bible. Rather than recounting the production history of Sir Roger's epic seven-film run as 007 the authors instead turned the narrative over to Moore's on-screen co-stars. The actor, philanthropist and true gentleman touched the lives of many — and many of his Bond co-stars who have said little or nothing about their work on the EON films since took this opportunity to regale Field and Chowdhury with some remarkable stories about Sir Roger Moore. No two stories are alike but each adds to a picture of a warmhearted man, a consummate professional, who never took himself too seriously. 100-page special magazine; professionally printed; perfect bound. A unique look at the life and work of Sir Roger Moore through the eyes of his co-stars. More than 60 of Moore's colleagues share memories in new & exclusive interviews, including Christopher Walken, Yaphet Kotto, Tanya Roberts, Britt Ekland, Lois Chiles, Gloria Hendry, Julian Glover, Charles Dance, Steven Berkoff, and Vijay Amritraj. Over 100 rare and interesting photos of Sir Roger with his Bond 'family', plus beautiful key art from each film. A full report from the opening of the Roger Moore Stage at Pinewood, including reflections from Michael G. Wilson, Sir Michael Caine, and David Walliams. 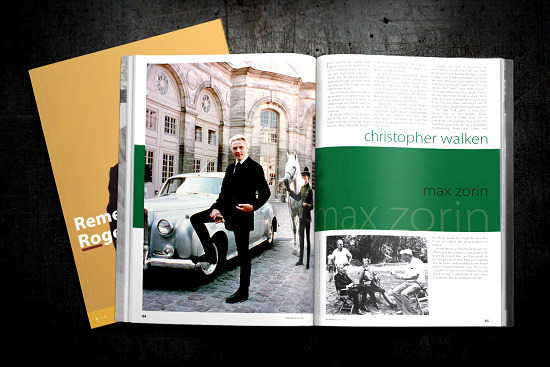 This special publication is included in the deluxe MI6 Confidential subscription plan.